The Think It Make It Lab promotes the creative use of new technologies in a collaborative environment for research, experimentation, and innovation. There are unique opportunities for cross-disciplinary investigations not only between Herron’s programs, but also with other IUPUI schools and departments such as engineering and technology, interior design, informatics, motorsports, and medicine. At Herron, you can merge new technologies with traditional creative processes. Working in the Think It Make It Lab, you can engage in research, design, digital fabrication, and production methodologies that will be invaluable to your own creative and professional development and to the 21st century workforce. Scale models for furniture design, engrave wood blocks and copper plates for printmaking, or cut paper for pop-up books. 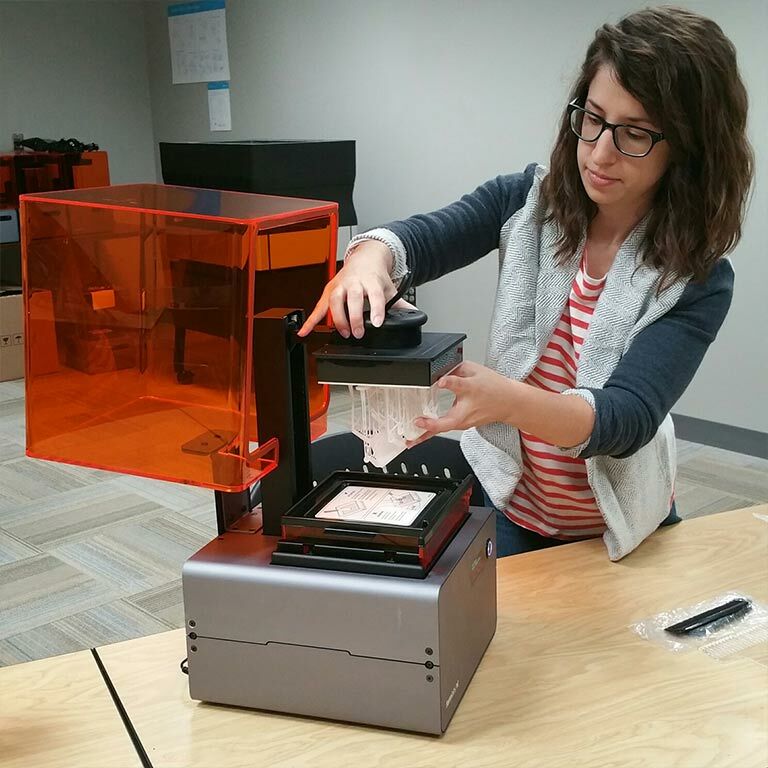 Students have used the 3D printers in the Think It Make It Lab for mold making, from sculpture to dentistry to facial prosthetics. 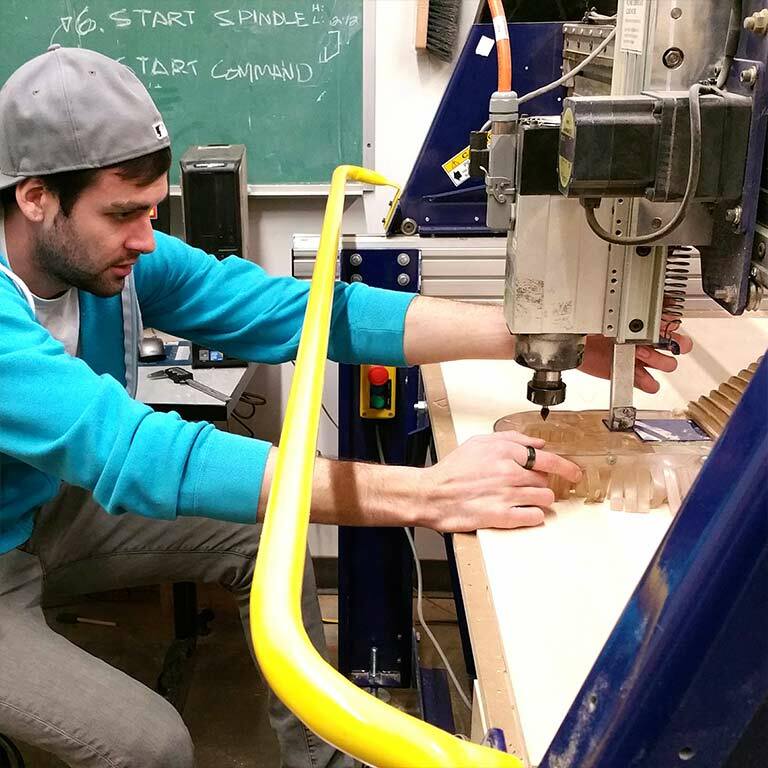 CNC machines help furniture design students cut parts that would be difficult to cut using traditional methods. Motorsports students also have used the CNC machines to carve forms for projects. The Think It Make It Lab is open to all students and faculty at IUPUI, allowing for cross-disciplinary collaboration. The following training requirements are required for students and faculty, subject to change. Students and faculty must complete a one-hour training session and pass a certification test to gain access to the laser engravers. Online reservations are required for the training session. You may also make a reservation to use the laser engraver online. 3D printing requires a one-hour print consultation. Online reservations for print consultations may be made online. Please allow up to one week for a scheduled print. In order to use the CNC machines, students must have taken the CNC elective, which is typically offered in the spring semester. 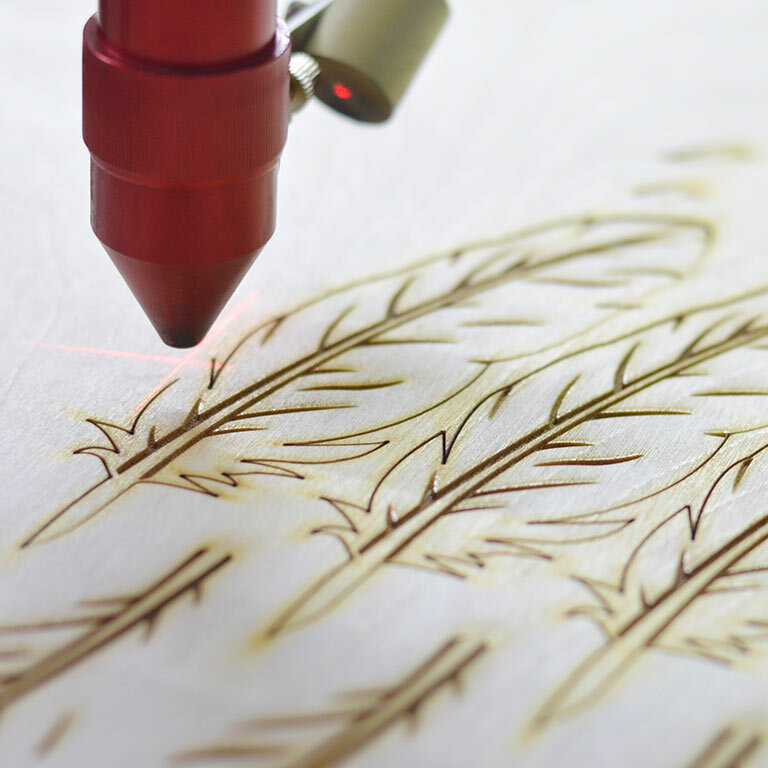 Online reservations are required for the laser engraver trainings and 3D print consultations.